Humanity has used baby slings since time began, not only for reasons of safety, but also to be able to meet their infants primary needs. The meeting of these needs creates benefits for both parent and baby as the feel good hormone oxytocin is increased from skin to skin contact, making us feel calm[i]. This may be why some people claim that in cultures where babies are traditionally carried you’ll hardly ever hear an infant cry. In Western cultures, baby wearing was superseded by the pram, although historic photos show many mothers using a variety of methods to keep their infants safe and close so that they could get on with domestic work. Baby wearing as something of an art form started to gain popularity during the 1960s when people began adopting alternative ways of living, and the concept of attachment parenting was cemented by the publication of Jean Leidloff’s “The Continuum Concept” in 1975. In 1995 I made a sling for my second baby after unsuccessfully searching for a comfortable carrier that wouldn’t pull me forward or back as with my first born. With a second child you really do need to be able to get around and care for your toddler so a carrier makes complete sense. Diagonal slings distribute weight by counterbalance and are easy to put on and use. I made a pattern from a ring sling and converted it to use modern pack clips as I discovered that the fabric often slipped through the rings. I didn’t want to have to tie it up and not be able to quickly undo it or adjust it with a sleeping baby! With no extra instruction I found that every time I put my son in the sling he seemed in a different position; some were more comfortable than others. One day I had an “a-ha” moment that he was positioned best when lying on the diagonal of the fabric with his head on the outer rail. Over the years, exhibiting at Baby Shows and demonstrating to hundreds of customers, I have refined the way we teach this technique. 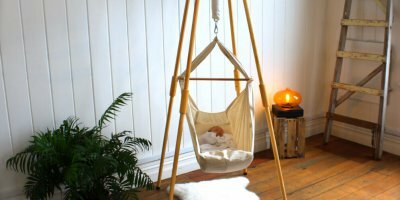 Counter intuitively, with a one shoulder sling you don’t aim to lie baby down in the centre, but rather have your baby lying at a slanted angle. On the Natures Sway Sling we’ve included a special line of stitching on the diagonal to show that ideal placement. The angle mimics the way you would naturally cradle a sleeping baby in your arms. The best way to achieve this slanted angle, or what we call the ‘diagonal cradle’ position, is to hold baby facing you on your shoulder and move the fabric of the sling up and around their body. Having found the top of the line of stitching (about 1/3 down the rail), you bring it up to the back of baby’s head and then check that their spine is on the line. 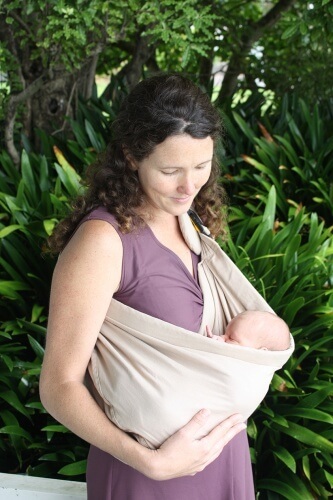 Holding the fabric of the sling and the baby, you gently bend forward and lay baby in the sling still facing you, then twist the sling so baby is facing up with their head towards the shoulder padding. (it will naturally go this way). Check the inner rail is safely between you and baby. Now you have a great view of baby’s up-turned face in the resulting triangle for that all important eye contact. This position can be achieved on any pouch or ring sling but it is nice to have some side padding. Natures Sway uses natural wool, which does this job nicely. Here is the TICKS[ii] safety checklist – Natures Sway version. 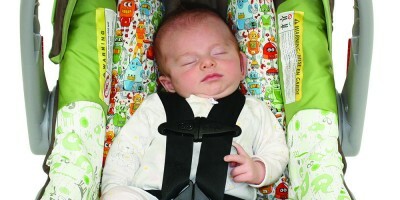 ✔ TIGHT – use the adjustable straps and clips to tighten the sling to hug baby close. Best to wear baby at navel level. 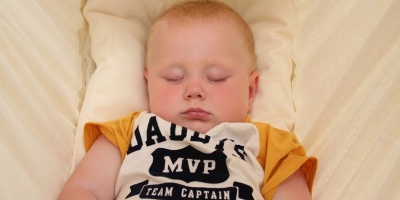 ✔ KEEP CHIN OFF THE CHEST – loosen the outer rail under baby’s head so their chin is in no danger of pressing on the chest and restricting airflow. Babies are used to being all curled up in the womb but they didn’t have to breathe in there! Never have their face buried into your body or tightly covered by the fabric of the sling. If you can see their face you will be able to safely monitor them at all times. The diagonal cradle position is a great breast-feeding aid, as it will take some weight off your arms. You just have to move the inner rail out of the way and I discovered I didn’t even need to turn baby to feed both sides! Afterwards you may want to use the sling with baby upright for burping. That’s where the double adjustors on the back of our sling really come in handy: by tipping the clips to loosen the webbing you can lower baby to feed, or sit down (great for air travel), or shift baby around; and by pulling the straps and doing a little bounce you can tighten to a safe carrying height again. Later on, when baby is big enough to sit and straddle your hip, a sling becomes even more essential. Baby is heavier and the counterbalance will ensure you can stand straight. 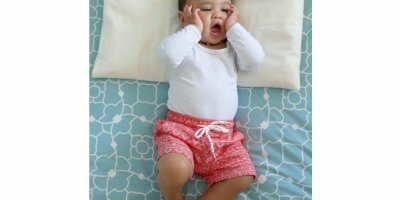 Wearing your infant on your side means you can get a lot of things done with baby able to engage, which can be easier than with them strapped on your front or back. I used the sling with my son until he was 3 years old and he is a wonderfully confident, independent and affectionate person to this day. 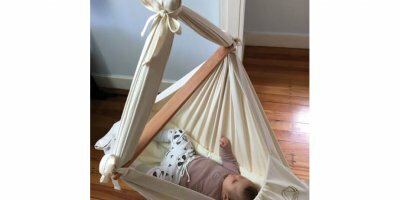 Yes you can get any number of structured and unstructured baby carriers but a well designed sling and a good understanding of how to use it may be all you will ever need. Kate Hornblow, founding director of Natures Sway. [i] Feldman R, Rosenthal Z, Eidelman AI. 2014. Maternal-preterm skin-to-skin contact enhances child physiologic organization and cognitive control across the first 10 years of life. Biol Psychiatry. 75(1):56-64. What’s so good about Natures Sway organics? Kate Hornblow ~ Doing it the Natures Sway Way! Natures Sway © 2019. All Rights Reserved.